Cross your heart — you'll fall head over heels for our X Ring with diamonds. $900.00 USD at AUrate vs. 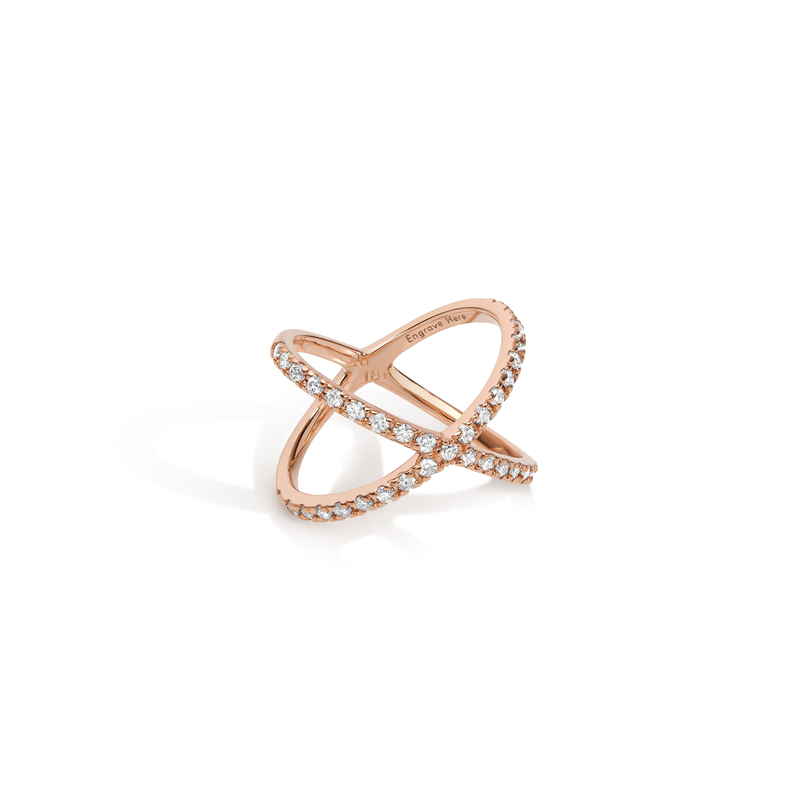 Brilliant in shape and sparkle, our X Ring is an extravagant beauty. The glow of gold is punctuated by 37 individual diamonds totalling nearly half a carat, offsetting its sparing form with lavish radiance. Diagonally intersecting bands, adorned with rows of prong-set, round brilliant-cut diamonds, crossover for a closed ring shank design. Featuring 37 exceptional quality diamonds weighing 0.47 carats — as rigorously sourced as they are spectacular to look at.